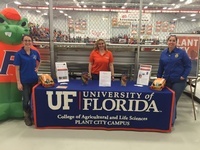 The University of Florida, GCREC - Plant City Campus offers Bachelor degree programs in Agricultural Education, Communication and Leadership Development, Geomatics and Environmental Management. The campus accepts transfer students who have earned their AA from a state or community college. Students can work with our Academic Advisor and Faculty prior to transferring, to ensure that all tracking courses are completed. The Geomatics program also includes graduate studies in addition to the undergraduate degree. 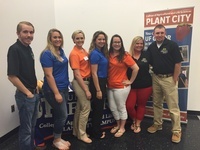 The Agricultural Education specialization prepares students for exciting and challenging careers in teaching and other related areas. Communication and Leadership Development offers students the opportunity to customize their degree. This flexibility allows students to concentrate on a career area that is interesting to them and prepares them for various career opportunities. As a Geomatics' student you'll study: how the Earth is measured, how Earth-based data is analyzed and how this data is integrated into forms and systems that people can use. 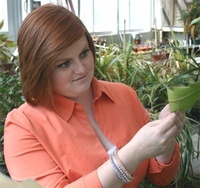 The Environmental Management degree is for students who desire education in environmental management with substantial emphasis on agriculture and natural resources. The option of distance education gives students the flexibility to further their education while maintaining other responsibilities such as a job or family. For more information, or to set-up a campus tour, please contact the Academic Advisor at (813)757-2280.